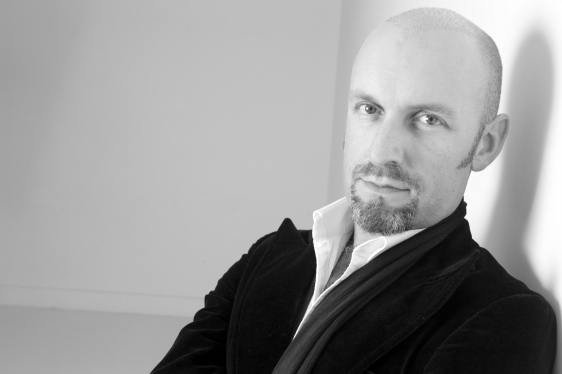 Paul Hughes is a highly experienced opera, musical-theatre and concert performer. His early operatic experience included the roles of Morales in CARMEN for MELBOURNE OPERA, The Armchair in L’ENFANT ET LES SORTILEGES, the role of Mama in VIVA LA MAMA and Roderick in Hindemith’s THE LONG CHRISTMAS DINNER all three productions in the MELBOURNE INTERNATIONAL FESTIVAL, Baron Douphol in LA TRAVIATA in performances with the TASMANIAN SYMPHONY ORCHESTRA, Snug The Joiner in Britten’s A MIDSUMMER NIGHT’S DREAM for CO-OPERA, the First Officer and the Nazarene in SALOME for OPERA AUSTRALIA. Mebabite and Cursor in SOFTWARE for OPERA AUSTRALIA‘s schools company and Captain Elliot in OPIUME for the SINGAPORE INTERNATIONAL ARTS FESTIVAL and HONG KONG NEW VISION ARTS. Since 2004, his roles have included Don Tritemio in Galuppi’s IL PHILOSOFO DI CAMPAGNIA for the CASTLEMAINE STATE FESTIVAL and Le Tragique and Diable in LOVE OF THREE ORANGES for OPERA AUSTRALIA, both during 2005. In 2006 and 2007 he was a member of the cast of OPERA AUSTRALIA‘s national touring production of THE PIRATES OF PENZANCE and appeared in Stuart Greenbaum’s opera, NELSON-THE OPERA, in the roles of Captain Hamilton and the First Admiral, at the CASTLEMAINE STATE FESTIVAL. For VICTORIAN OPERA, during 2008, Paul Hughes sang the roles of Seneca in Monteverdi’s THE CORONATION OF POPPEA and was bass soloist in the company’s performances of the Puccini MESSE DI GLORIA. For VICTORIAN OPERA, during 2009, he appeared as Leporello in DON GIOVANNI and as the Wigmaker and Lakey, in ARIADNE AUF NAXOS. Paul Hughes has been regularly engaged as an oratorio soloist. For the ROYAL MELBOURNE PHILHARMONIC SOCIETY he has appeared as soloist in Mozart’s CORONATION MASS and REQUIEM and Handel’s MESSIAH. For the MONASH CHORALE he has been soloist in performances of the Verdi REQUIEM and, in Fauré’s REQUIEM for VICTORIA CHORALE. For ST. FRANCIS CHURCH, Melbourne he has been engaged for Haydn’s MASS IN TIME OF WAR, NELSON MASS, STABAT MATER, THE CREATION, THERESIENMESSE, HARMONIEMESSE and Schubert’s MASS IN C, MASS IN G and Vaughan Williams’ MASS IN G MINOR. He has also appeared in CARMINA BURANA and the Fauré REQUIEM in performances with THE AUSTRALIAN BALLET, given all-Sondheim concerts at the AUSTRALIAN NATIONAL GALLERY for OPERA AUSTRALIA, has appeared as soloist in concerts entitled OPERA & THE OCEAN with the TASMANIAN SYMPHONY ORCHESTRA, at OPERA IN THE PARK and CAROLS BY CANDLELIGHT and has been a regular soloist in PROMAC PRODUCTIONS‘ MORNING MELODIES in Melbourne and regional centres. His most recent concert engagements include Richard Mills’ song cycle, SONGLINES OF THE HEART’S DESIRE, in performances at the MELBOURNE RECITAL CENTRE and broadcast by the ABC and Rossini’s STABAT MATER and Mendelssohn’s DIE ERSTE WALPURGISNACHT for the HEIDELBERG CHORAL SOCIETY. Paul Hughes appeared in the role of Jeb in THE PRODUCTION COMPANY‘s 2014 season of SHOWBOAT. He returned to THE PRODUCTION COMPANY during 2017 to perform the role of Caiaphas in JESUS CHRIST SUPERSTAR and appeared in the company’s 2018 season of A GENTLEMAN’S GUIDE TO LOVE & MURDER.